Working in conjunction with the UK’s leading mobile access platform hire company - Rise Hire, we have another necessary product: the VTR1. 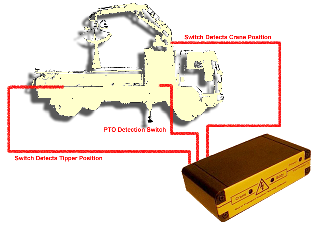 This is a ‘wire-watcher’ designed specifically to meet the demanding requirements of the access platform & MEWP market. We maintain strong links with our roots - quite literally! More than 20 years ago farm electronics was still quite new - but that’s where started, application engineering standard (& non-standard) products onto a variety of agricultural equipment. We have always been known as a company that solves problems - some have been one offs, others have evolved into product - as shown below. We use & combine existing technologies, where possible, which we reapply to needy areas!